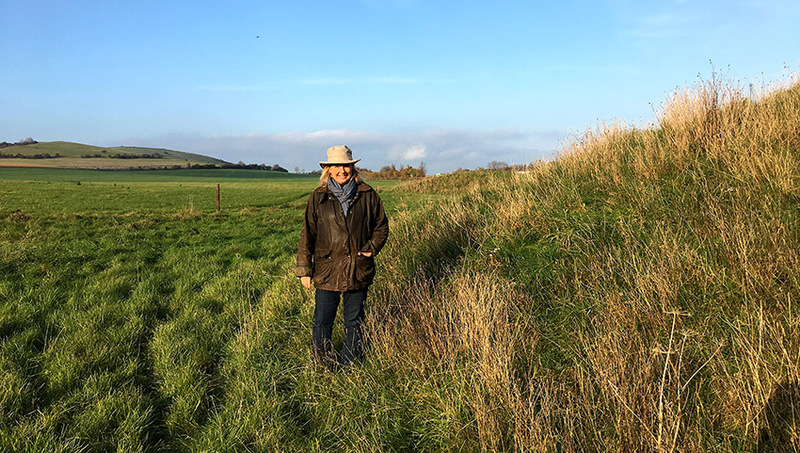 In the southeast corner of Highclere’s acres lie seven Bronze Age tumuli. It is believed there were originally more – perhaps as many as twelve, remnants of a people who lived here around 4,500 years ago. Looking around at the landscape I can imagine them farming and hunting in this area, drawing up clean chalk water, storing foods for the winter, and collecting berries or nuts. Examination of DNA links these people to travellers and settlers from the Rhine area whose evolving use of metals such as copper and bronze led to the development of agriculture and settlements, ornaments and memorials and, of course, weapons. Above these tumuli lies Beacon Hill, an iron age hillfort (below) within which you can see the embanked circular outlines of what might have been dwellings. It is a spectacular view back down the slope towards the Seven Barrows and other possible settlement enclosures marked today as low earthwork banks within the grassland. Moving forwards in time there are indications of Roman settlements around this area too, before they became absorbed as part of the kingdom of Wessex. Anglo Saxon communities and Viking incursions led to new settlements and perhaps new burial places. There is a truly beautiful glade where the land is disturbed at the northern foot of the hill near where we have found a few Roman artefacts and hence signs of a settlement. It is a beautiful part of England, good trees, good hunting, and light soils. Who knows how many people have lived here and buried their dead under these fields – they are indeed God’s acres. This is an Anglo-Saxon phrase literally meaning – God’s fields. The German phrase is the same, “Gottesacker” and standing looking at the landscape I wonder if we are losing our ancestral wisdom. The 5th Earl of Carnarvon who discovered the tomb of Tutankhamun chose to be buried in the fort, (you can see the iron railings around his grave in the photo above)to become a part of the history and be forever connected with the past. And breathes a benison o’er the sleeping dust. Today we usually organise our dead in graveyards or crematoriums and thus separate our daily lives from them. 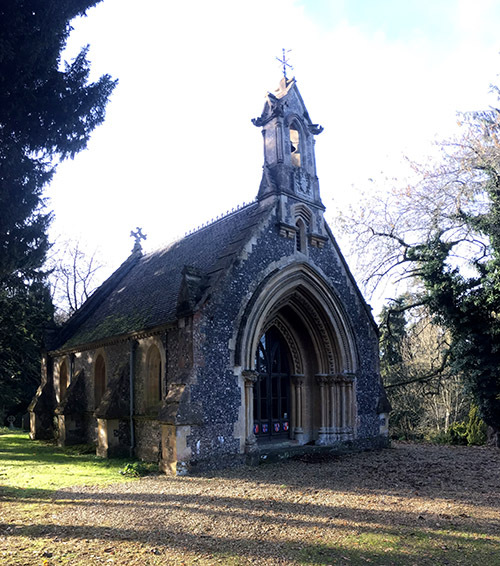 In fact, in the middle of the Park here at Highclere there is a charming chapel, built by the 3rd Countess of Carnarvon after her husband’s death. It is there to offer comfort for all those who grieve with an annual service taking place each September to remember those we loved. Although we live apart from them, at specific times we can come together to pray with them. Perhaps there were also specific times that the settlers around Beacon Hill chose to sit and remember those they loved. 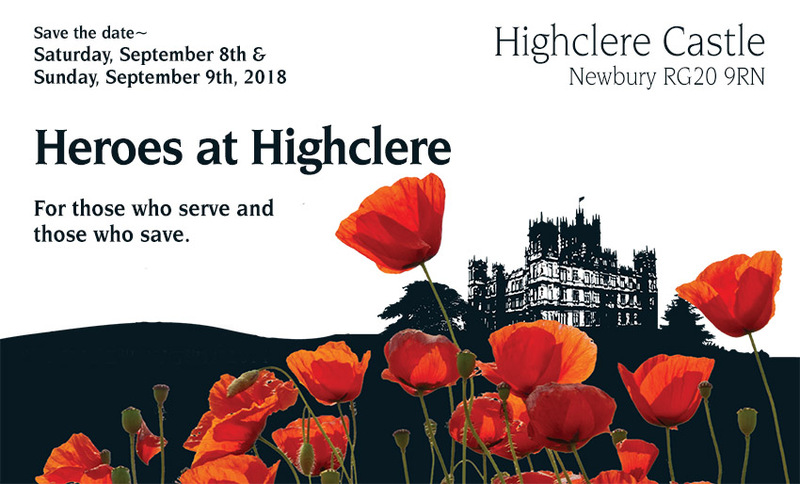 To that end, four years ago Highclere commemorated the beginning of the First World War and, in September 2018, we will again gather together to celebrate the beginning of the end, and the weeks grinding slowly towards peace. It is a weekend to understand, to engage, and to raise money for those who suffer in war zones today, from doctors to veterans, from those fleeing war to the soldiers’ families left bereft. My thought was that this is for those who serve but also for those who save. 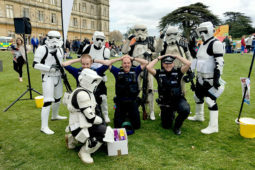 On a practical note I know I need to bring visitors to Highclere so to make this weekend happen, I am turning to my aviation friends for planes old and new, to other friends for cars and for marching bands. The Castle operating theatre will return and there will be songs and lectures. What a weekend! In the end, looking after those who serve and those who save needs support, kind people and money. What a wonderful blog Lady Carnarvon i so love this history we have on our door step, reading about people who made their home here 4,500 years ago just prove it was a nice place to set up a home. When I drive around the estate i often think of the people in the past what they saw & heard all those years ago, With 11th month apone us we start think of about war time & the losses.. I’m so looking forward to next year when you put on another Heroes at Highclere 2018 & what you have planned for it will be fantastic in many ways.. I too look forward to your blogs. I wish I could make one more trip to England so I could visit Highclere. At almost 87 I doubt I will but there is always reading your comments and looking at your pictures to give me a feeling of being there. I enjoyed this brief history lesson. Here Nov. 11 is celebrated as Veteran’s day, originally Armistic Day. Sometime over the years it became Veteran’s Day. Our Congress declared Nov. 11 as a day of remembrance. In 1954 President Eisenhower declared it a holiday. In 1968 Congress declared all Nationally celebrated holidays, exceeding religious holidays to be held on the 4th Monday, recognizing the day by giving government and financial institutional workers the day off while the rest of us trudge on. In ’75 President Ford returned Veteran’s Day to the Nov. 11, given its historical significance. The day is here, now, recognizes those who fought during WW II, mostly with parades and flag ceremonies at the local VFWs. While you wonder about the the early men who wondered the Estate, we imagine the Plains Indians as they followed the buffalo herds across the great American Plains and the early pioneers who threatened the Indians’ way of life and who in turn were threatened by the indigenous people as we drive just east of our little town to enjoy the National Grass Lands prairie, now dotted with oil and gas rigs! I very much enjoyed your lesson–Highclere is indeed a special place. Beautiful post and thoughts on the ages and our remembrances, ancient to more recent. Thank you. I hope the weather stays good for your Remembrance Day/Veterans Day activities. Flying over the immensity of US plains I always wonder about the courage of forbears.. Thank you for another wonderful story of life at Highclere . I was very honored to be at Highclere 4 years ago to attend Heroes at Highclere Day. Listening to the readings, hymns, and Lord Carnavon reading In Flanders Field the poppies grow , it was quite emotional. I shall remember that day forever. We too should not forget, the 888,246 people lost in WW1. I have one of the poppies from the Tower of London Exhibition in my garden, a solemn reminder of war. Please keep writing your blog, there is so much to tell about Highclere. Correction by me, 3 years ago, in 2014 not 4 years ago. You are right and now I think it is good to build on August 2014 this September and link with some of the stories from WW2. On Sunday 9th September I hope to remember in particular the airmen who crashed and died in these fields and hills around the Castle. We have been gathering names of the all of them – from a B17 to P-38, the mosquitoes, Lysander etc. How fortunate you are to live on such an amazing estate. I so enjoy what you share and look forward to each post. Thank you! God Bless you, Lady Carnarvon, for your philanthropic efforts, maintaining the past and keeping the present ever new and vital. What a beautiful chapel. It looks so charming in amongst the trees and foliage. Lady Carnarvon, the Henry Longfellow poem you shared is lovely. 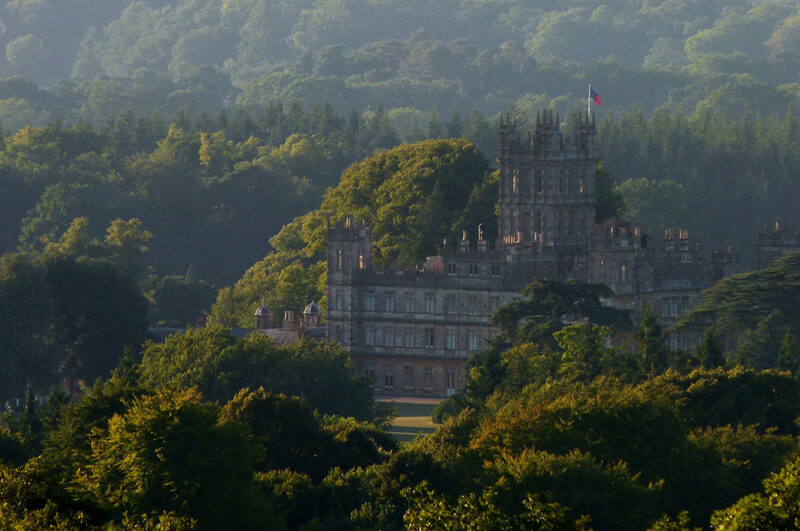 Highclere is such a beautiful place. Que lindas palavras. Faco dslas as minhas. Always enjoy reading about the history of Highclere. You always have facts that are pertaining to the times we are in. You have a wonderful way of blending the past with the present. Thank you. That is a wonderful expression Susan! Beautiful blog and well done. Your plans take my breath away and I know the events upcoming will be beyond lovely! Cheers to all the success you will be having! Blogu Juaj ka vlera njohëse dhe edukuese. Shërben edhe si nxitje për të shkuar në Highclere dhe të shohësh ato vlera e hershme. Shpresoj ta realizoj këtë dëshirë në të ardhmen. Ju përgëzoj për informacionin që na jepni. Your blog has cognitive and educational value. 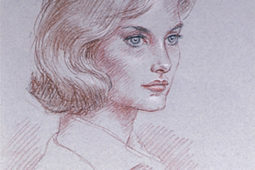 It also serves as an incentive to go to Highclere and see those early values. I hope to accomplish this desire in the future. I congratulate you for the information you give us. I love your writings and look forward to reading them every time I get one. I visited you on November 1, and was so thrilled to meet you, your staff, Alfie and Finn! Thank you for taking the time to speak with us. It made our day.!! I would love to help with your upcoming project! I have a lot of time to devote to your cause. Please let me know if I can be of use to you in any way here in the States!! Thank you – I had a good meeting yesterday to begin to sketch out the timetable of the two days and begin to have A3 paper blue-tacked to walls with scribbles on! Your “God’s Acres” post strikes at my own heart strings, as I’m sure it has touched many other like-minded souls. I wish you every success in your “Heroes at Highclere” event. We too hold dear those memories of loved ones lost on Remembrance Day. Thank you for such a poignant post. Thank you – Longfellow was an oustanding poet. The history of Highclere is fascinating. It’s really wonderful to read about the people who lived in the area in past times. When we meet those people hopefully in the resurrection it’ll be great to hear their experiences of how the place was in times gone by. Thank you for a glorious narrative of humble beginnings and of remembrances. Our brave and valiant members of all armed forces are in each way unique, and a collective for our protection and defense. They are due all measure of honor and respect, and your writing acknowledges them all. The connection you draw to ancient times and more recent history is both beautiful, educational and humbling. How marvelous to host another celebration at the Castle, and remember the sacrifices that have been made. Thank you for ALWAYS writing with such kindness and compassion! I look forward to each and every blog! I so enjoy reading your posts because they are filled with not only history, but personal thoughts and observations of your lovely home and grounds. This post was very much appreciated because I do a lot of work with those who have served in the military here in America. Your remembering those who lost their lives in WWI and since, along with those who serve now fills my heart with so much pride and admiration for you and all those at Highclere. Thank you so much for creating events that help support those who serve and those who take care of them at home, from the nurses and doctors to their families and friends. Visiting your beautiful home is on my bucket list and one day I hope to come visit and meet you personally and tell you in person how much I enjoy your blog. Until then, keep up the great work of telling the stories of the past and the history. Cheers from America. I hope you will visit us and perhaps it might work next September? – The Castle will be one for yours all weekend – there will be planes, cars, teas etc as well! What a lovely and poignant post on the importance of remembering those who have gone before us and those who sacrificed so much for our freedom. 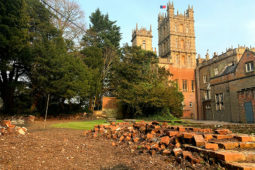 Thank you for sharing it and teaching me something new about Highclere’s ancient history. Remembrance Day, for me, usually brings to mind T.S. Eliot’s poem The Wasteland and its stark reminder of the human cost of World War 1. I enjoyed reading Longfellow’s poem today. As long as we remember the departed, they will always be with us in spirit. I hope you write a post about the Remembrance Day at Highclere in the near future! Through your continued efforts, the ancestral stories and ancient wisdom will be long remembered. This will be the second time I went through this post. What a commendable and laudable service you are doing and with the other events and out reaches are very helpful to all of our vets. May God bless your family for these efforts. Many other people do a lot – I just Highclere has role to highlight sometimes! Each year soon near 11/11 our church does a service honoring and remembering those who have served. This year our speaker is not only a US Marine, wounded in Korea, but he is also a former Pastor of our church. What a leader!!! Glad you are coming December – which event are you coming to? Once again your writing has inspired me. I enjoyed your comments on the tumuli (I also learned a new word.) It was fascinating to learn that there is so much history beyond the walls of Highclere Castle. Also, may God bless your efforts toward your Heroes weekend. So beautiful, I couldn’t love this remembrance blog more! Thank you, Lady Carnarvon, for sharing so much of your home area’s history with us. My brother and his family were stationed at RAF Molesworth until the summer of 2005, so my family was blessed to visit them at the home they rented, Woodfield Farmhouse, that spring. On one of our walks around the farm, my brother and his wife explained about the Roman road that we were walking on and the ancient history of that area. It is such a connection to the past! Thank you again for a lovely journey. The chapel and graveyard are also very peaceful. Thank you for this lovely article. The poppy field is pretty close to heaven for me and the first shot of Highclere set among the trees is just wonderful! And the Heroes event is a terrific idea! The photo amongst the trees is taken from the Iron age fort- great view whatever the weather! You have truly been blessed with a gift of expression far too many do not have, and wish they did. This time, writing about ‘those who serve and those who save’ has touched me deeply. I ‘serve’ in my own way, as best I can, here in the States by being active in the American Legion Auxiliary, in honor of so many in my family who have served and are still actively devoted to Peace in our World! Your Legacy at Highclere is to be kept safe, but shared, and enjoyed. I think you are a tremendous example of the good that can come when lives are touched by the past with all it’s strength, and beauty. Thank you for sharing with all of us, and as always, writing such a beautiful remembrance for us all to share in. You are kind – memories – remembrance – I don’t think they should be lost. Thank you for the history lesson! I did not realize that Great Britain recognizes November 11 in the same way we do here in the states. As always, I so appreciate your stories and photos. Thank you – I am glad it is day of joint pause and thought! I would love to go to the event next September. My wife loves aeroplanes and my friend is also mad about planes (and cars). You seem to have a lot of energy and work hard. I hope you don’t think you have to answer every comment only when you feel inspired and not because you ought to. We want you to last out and keep your freshness. You know what the public can be. I hope you will come – it is a centenary and I will be here only in spirit for the bi-centenary!! !